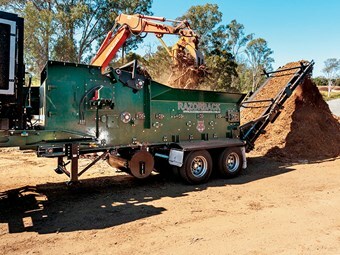 Redback Razorback grinders are making timber-waste recycling easier and more cost-effective. The Redback Razorback grinder is more efficient now with a 540hp compared to 10 years ago with an 840hp unit. 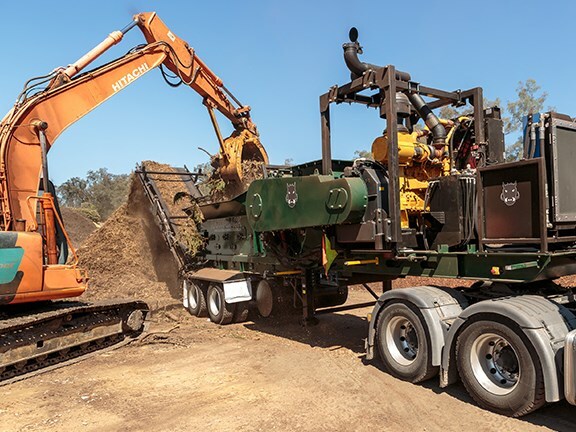 Recent innovations in the design of Redback Grinder Company’s greenwaste grinders are making it easier for customers to comply with strict environmental regulations requiring the recycling of timber waste. 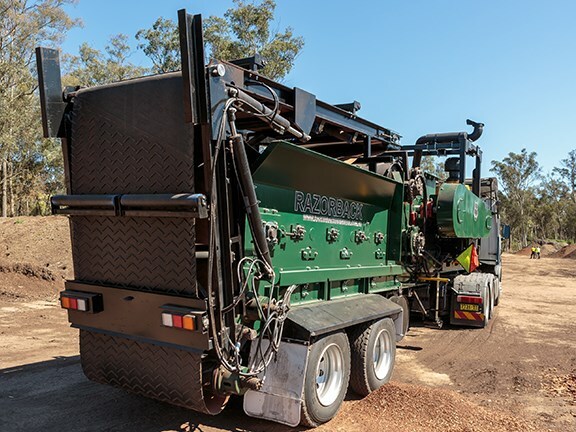 The most recent Redback innovation is a high-efficiency rotor, which has been the catalyst for the launch of the Razorback range of grinders, which come in 540hp to 700hp options and are available on both wheels and tracks. The launch of the new Razorback range has been well received, especially among long-term clients, with a number of orders already received, Redback Grinder Company owner David Stubbs says. 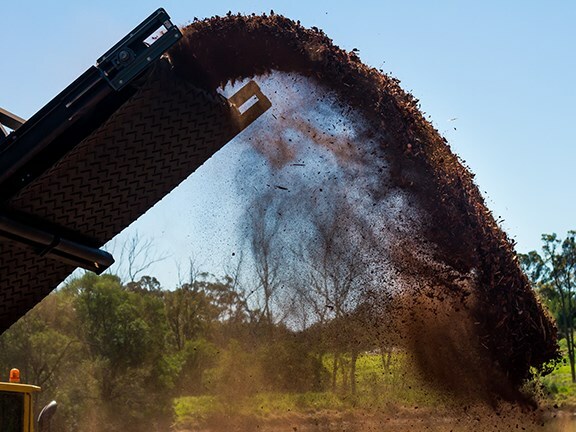 "We are all very excited about the future of our new range of Redback Razorback grinders and the significant production and efficiencies gains that are available to our customers," he says, adding: "We are also attracting considerable interest from new operators." When developing new grinders, simply adding power is not always the answer, Stubbs says. "We recognise that it is not efficient or economical to be throwing horsepower at grinders to improve their performance," he says. "The typical ‘mine is bigger than yours’ approach just isn’t effective, and we are producing more output now with our 540hp machine now than we were with 840hp machines 10 years ago. "We are looking forward to the release of our 700hp range in a couple of months," Stubbs adds. 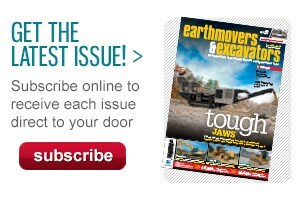 "We expect this to outperform our old 1000hp machines at a significantly lower price. "With the exchange rate where it is at the moment we are enjoying a large price advantage over our opposition." Stubbs is the first to admit that there are a couple of high-horsepower US machines on the market that are great producers but, he says, "unfortunately there are very few sites set up that can use their potential and they are half a million-plus more expensive". The company’s specialised knowledge of grinders and size-reduction equipment was gained after Stubbs acquired Van Gelder in 1987. Van Gelder has designed and manufactured innovative size-reduction equipment for over 100 years, across a range of different industries. "We then diversified into producing greenwaste grinders under the Redback brand in 1991," Stubbs explains. "We have been designing, developing and manufacturing our very successful range with sales throughout Australia and into New Zealand and Japan." The Redback Grinder Company is 100-percent Australian owned, and all its machines are manufactured in Australia and designed to comply with local transport regulations. "As we are a fully Australian manufacturer, we can react very quickly and all parts are available ex-Sydney," Stubbs says. "An important factor in Redback’s success has been our locality and our ability to immediate respond to our client’s needs. 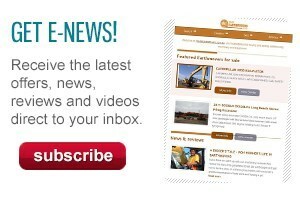 "Our clients can actually talk to us in Australian business hours, a fact that is virtually unheard of in this game — that means production for our clients." Industry knowledge also counts for a lot and Redback Grinder Company customers deal directly with Stubbs, as the owner and designer of the Redback Razorback grinder range.